Samsung's Note 9 flagship enterprise smartphone has arrived with a bunch of hardware upgrades that make it one of the most advanced smartphones ever, but enterprise users might be more interested in a clever upgrade for DeX, the innovative Samsung software that allows a smartphone to be paired with a TV or monitor for a virtual desktop. 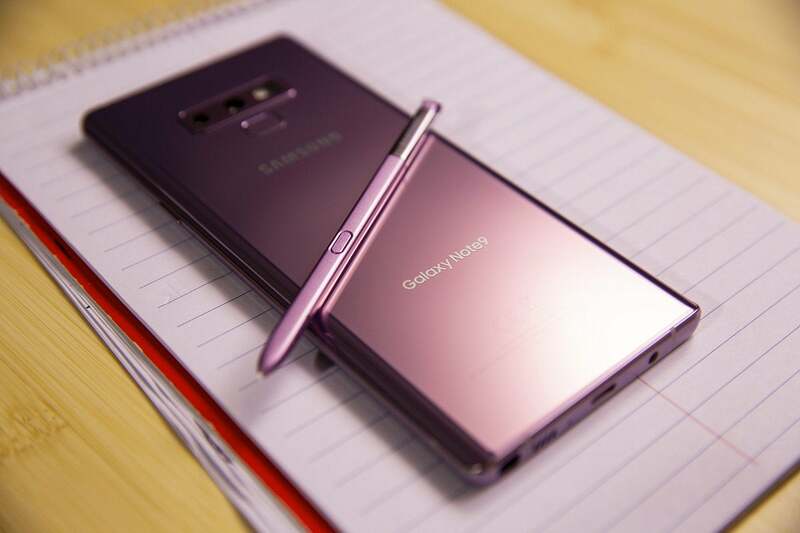 The Galaxy Note 9's S Pen comes in new fashionable colors to match the phone. With DeX, Samsung came up with a neat way to harness the significant power of a modern smartphone. Connected to an external monitor or TV, DeX redraws the phone home screen to make it much more like a conventional PC desktop. Coupled with a mouse and keyboard, it strikes a compelling proposal for travelers who don't want to carry a laptop but find a phone a bit too small for everything they need to do. The first and second generation versions of DeX required a cradle and a dock respectively but that's history. DeX in the Note 9 connects directly to a TV or monitor using the phone's USB-C connector. 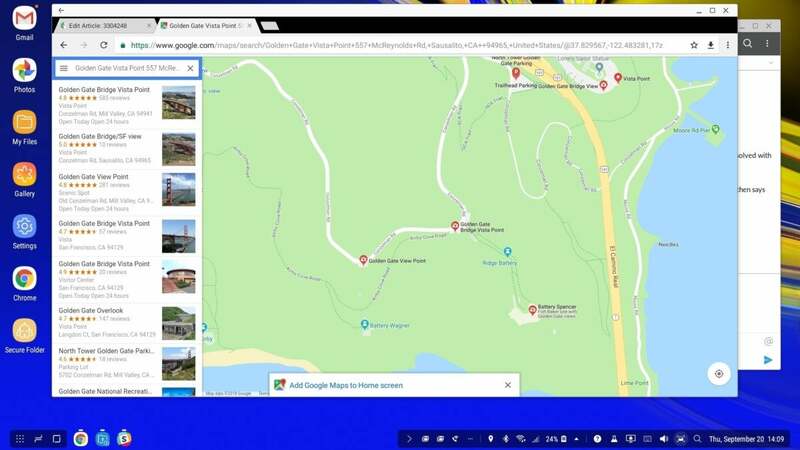 I used an off-the-shelf Cirago USB-C-to-HDMI adapter and successfully ran DeX on a TV through the HDMI input and a monitor, using an HDMI to DVI cable. If you've never used DeX before, there is a learning curve, but it shouldn't take more than a few minutes to figure out that notifications are now at the bottom, that right-click doesn't always do anything and that sometimes you just have to single click an icon. Then you can start being productive. DeX is especially powerful on workplace web apps that aren't customized for a mobile screen. Suddenly it's like you're sitting at a PC with all the desktop real estate in the world. Some apps have been optimized for DeX to make use of the extra desktop space and display mode. There aren't may but they do include several Adobe apps and Microsoft Office. For others, DeX attempts to force resize apps that aren't optimized. An experimental feature allows DeX to resize apps that don't explicitly support it. The phone screen can be used as a second screen or as a track pad when it's running in DeX mode. This is handy if you want to, say, jot down notes while running a presentation on the main screen. In productivity mode, the screen can be used if you happen to forget your mouse or for apps that use track pads. 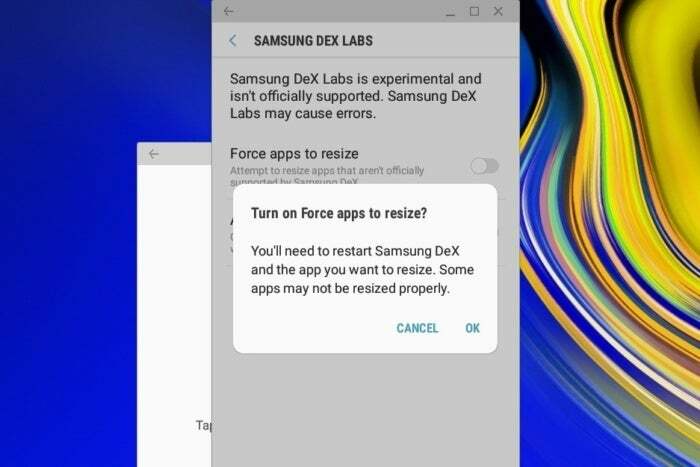 By dispensing with a dock or cradle, Samsung has simplified DeX but there is a downside. Those hardware devices included additional USB sockets for peripherals and a power socket for charging the phone while in use. This means you'll need a Bluetooth keyboard and a mouse. As for charging, there's a 4,000mAh battery in the Note 9, which I found more than good enough to power a few hours of DeX use without significantly reducing battery life. 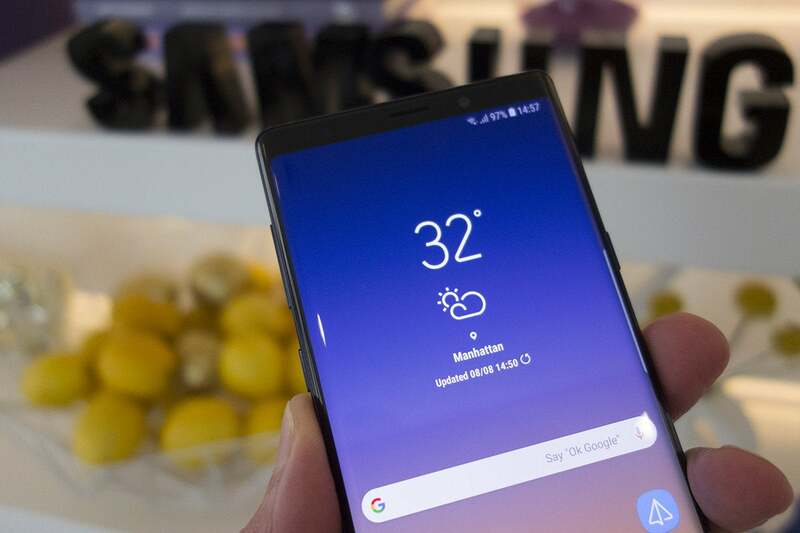 Samsung says it's the largest battery it' s ever put on a flagship smartphone and is good for all day use - - at least in early testing that appears to be true. It would be helpful if Samsung offered a USB-C to HDMI adapter that included an input power port. Aside from the DeX upgrades, the Note 9 arrives with a welcome improvement to the S Pen stylus. 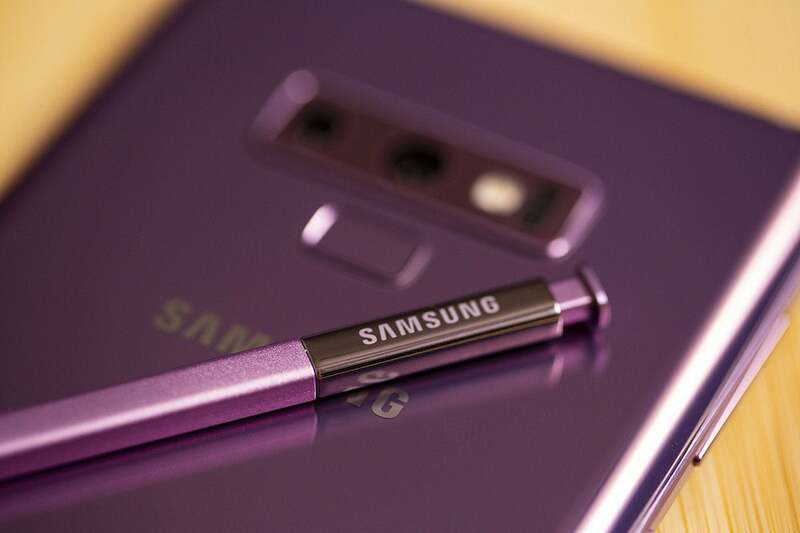 Samsung has upgraded the S-Pen stylus and it now contains a button that connects to the phone via Bluetooth Low Energy. 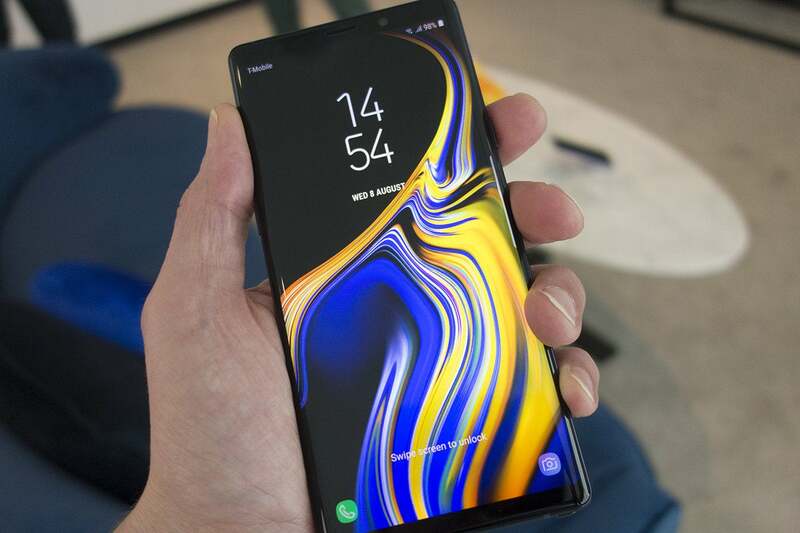 It can be used as a clicker for a slide deck, so hooked up to a monitor or projector via DeX, the Note 9 becomes a presentation machine in your pocket. It can also be used for more important enterprise features, such as a remote trigger for taking selfies. 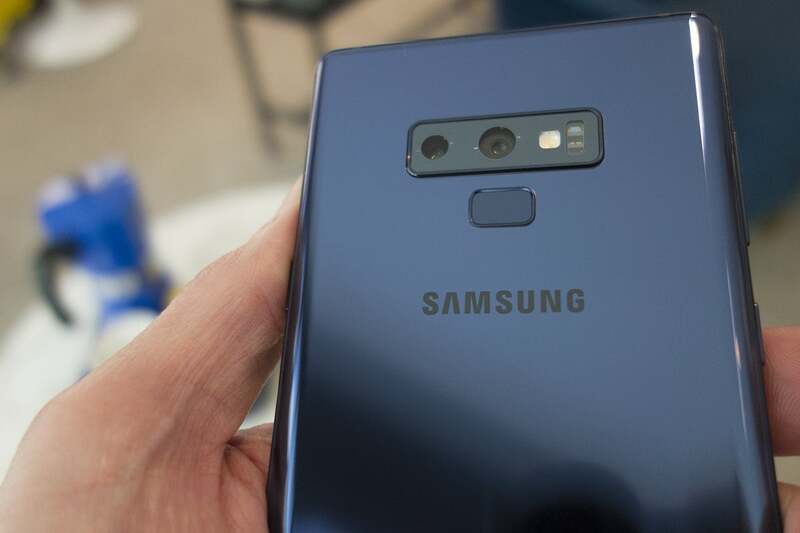 The Note 9's Snapdragon 845 provides lots of power to run the phone. 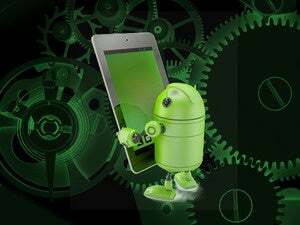 Coupled with at least 6GB of memory, it's everything a $1,000 smartphone should be. The base model comes with 128GB of storage, but a more expensive option adds 8GB of RAM and 512GB of storage. The rear cameras are both 12-megapixel, one with a 2X optical zoom lens, and the front camera is 8 megapixel. New is a scene optimizer that attempts to identify the subject of a photo and tweak the camera settings for the best shot. It's an automatic version of those scene modes we all have in our cameras - - landscape, portrait, flower, food - - but forget to set each time we snap a photo.